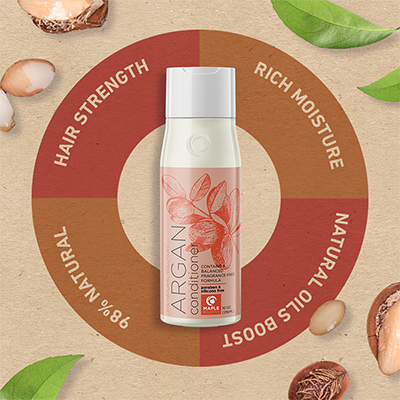 Discover the secret to deeply nourished and rejuvenated hair with argan oil conditioner. 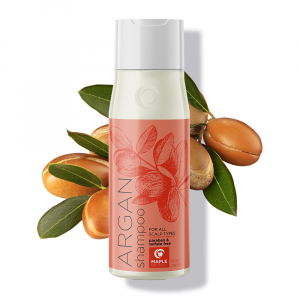 Specially formulated with Morrocan argan oil and infused with vitamin and antioxidant-rich sea buckthorn and pomegranate extracts, the nutrient-rich blend penetrates your locks and leaves them stronger, softer and glossier than before. 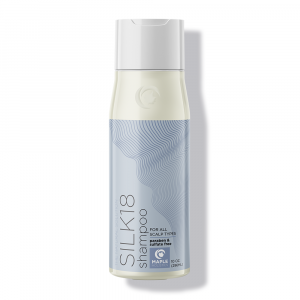 Perfect for smooth detangling to prevent breakage and split ends. 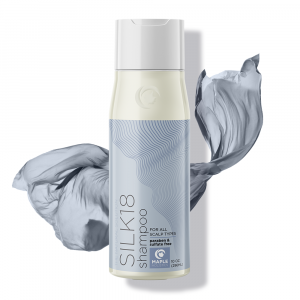 Say goodbye to frizz and static, and hello to smooth and polished looking tresses. 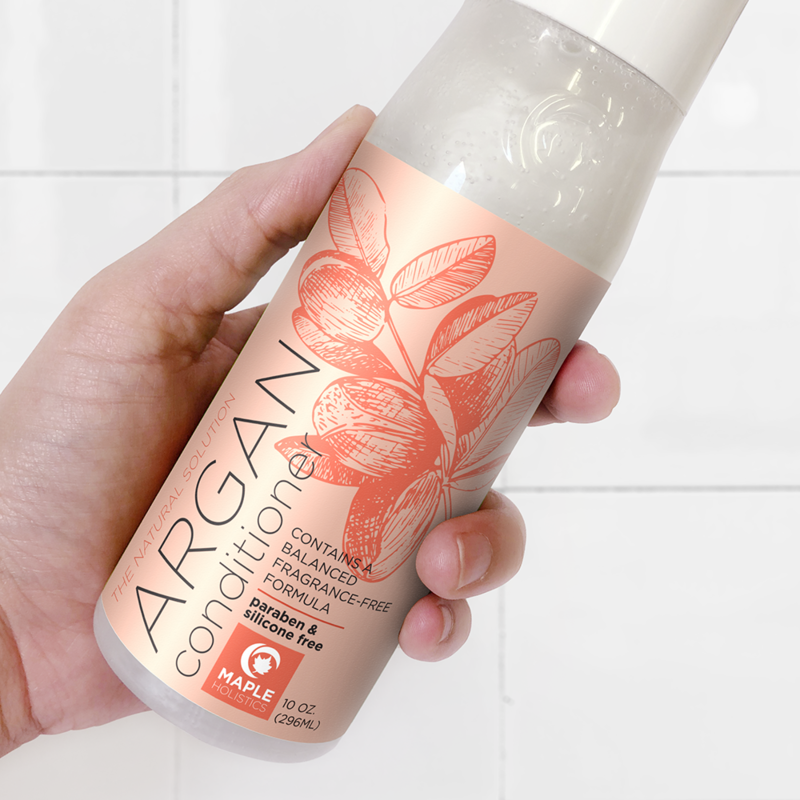 Our conditioner is silicone and paraben free making it great for all hair types, color treated hair, and sensitive skin. 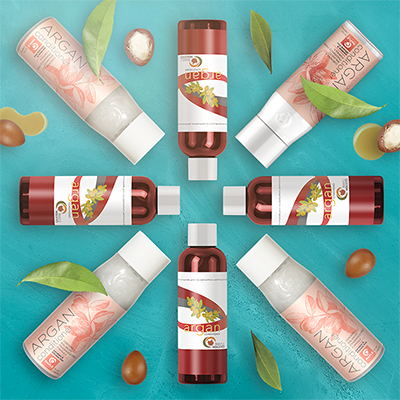 Argan Oil, Botanical Keratin, Peach Kernel Oil, Almond Oil, Jojoba Oil, Camellia Seed Oil, Natural Fragrance, Avocado Oil. I bought the 8-oz bottle a while ago on Amazon and since then have not had to use an expensive Chi styling iron to help tame the frizz. Now I do nothing to my hair but simply let it dry naturally after I use this conditioner, and it looks great. I often get compliments! I am nearing 80 years old and am glad I still have wonderful hair. I bought this natural product to use in my daughter’s very curly and knotty hair. Worked like a dream. Knots came out when combed in the bath without any pain like when using other conditioners. Softness last in hair for two days at least, so I can skip conditioner when we don’t have time or patience. 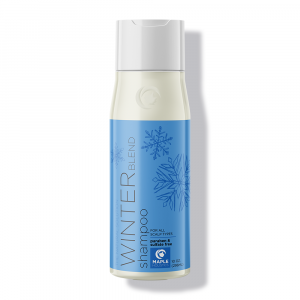 Eventually the whole family started using this product and we love it. 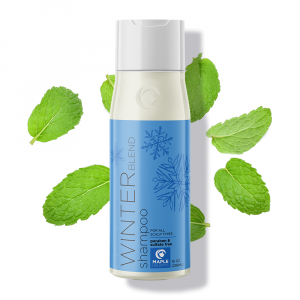 Have also diluted it in a spritz bottle to tame curly hair when doing it before school. Since using the conditioner my hair has become stronger and shinier. Will always use this product. I have the Leave-In version (not sure this is the same? 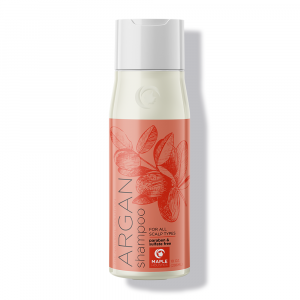 ), and it works very well for my dry, curly-frizzy hair! I am allergic to most fragrances, so I was interested in this because it is fragrance free, and actually has moisturizing ingredients. 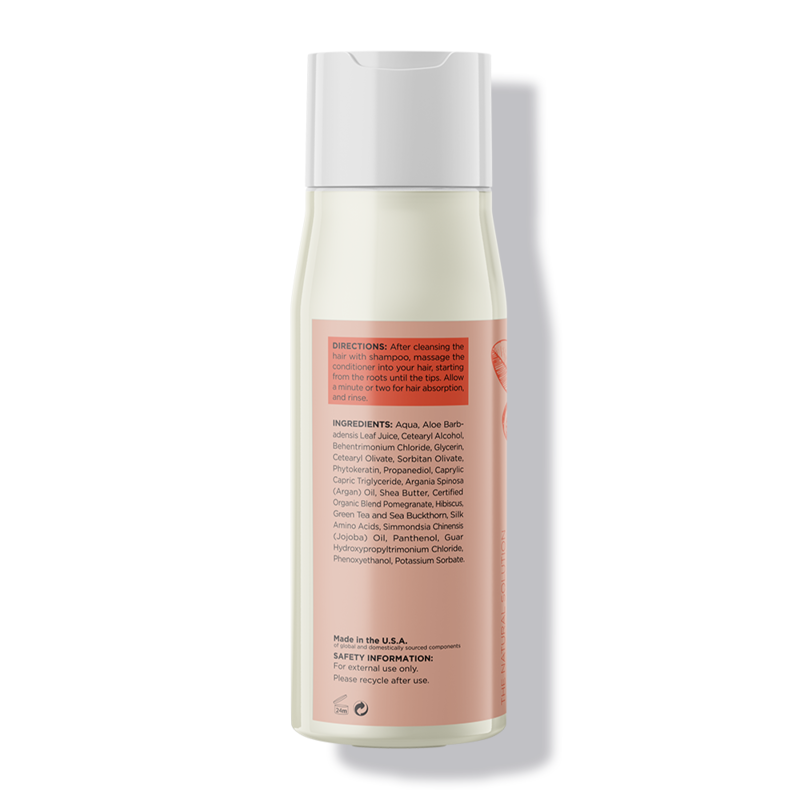 I’ve found that most fragrance free hair products are not made for my hair type. It clumped my hair pretty nicely, then I use gel on top. I will buy this again. 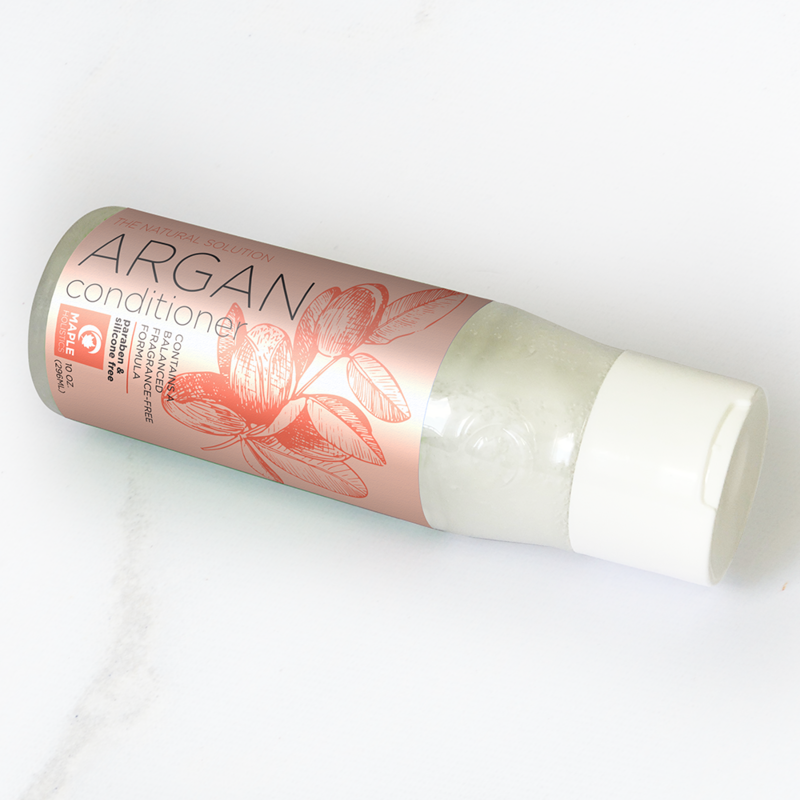 I have good hair days when I use this conditioner!